You’ve never seen a competition quite like the national championships for sand sculpting! Sand sculptors gather from near and far to delicately carve incredible scenes and stories from 10 tonne mounds of sand. Don’t forget to vote for the People’s Choice, and to try your hand at creating your own sand masterpiece – it’s a lot of fun at any age. Sand Safari wowed the crowds last year with stunning inflatable sea creatures ‘swimming’ throughout the open spaces of Surfers Paradise, so we can’t wait to see what’s in store in 2018. One sure bet – these giant critters will be vibrant! 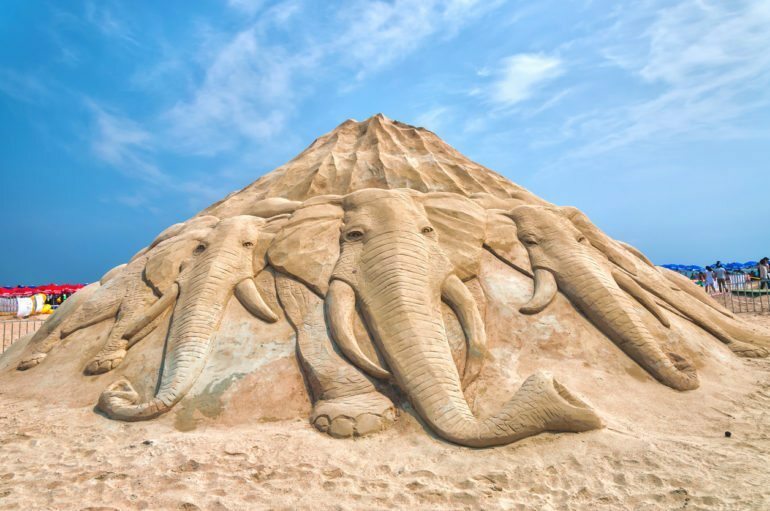 Look out for the massive interactive sand sculpture that forms the centrepiece of the festival and don’t forget a happy snap in front of the impressive display. The sand trail isn’t just what you track through the house after a trip to Surfers! It’s also a chance to experience some of the festival’s amazing sand sculptures throughout local libraries, hotel lobbies and shopping centres between 5 and 25 February. Did you know Surfers Paradise has its own mermaid? Her name is Sandy, and she’ll be performing live readings of the new Sand Safari book throughout the arts festival. If your kids are mad keen for mermaids, perhaps they’d like to swim like one; Sandy will also be hosting a poolside Mermaid Swim School. There’s parking close by at Bruce Bishop carpark that provides easy access to Surfers Paradise, as well as suites on the Gold Coast if you’re planning to make a weekend of it. Our accommodation in Broadbeach and Southport places you just a few minutes away from many of the best beaches in Australia and Sand Safari 2018.